It was hardly a warm and fuzzy welcome for Scott Kami, Gov. David Ige’s acting budget director. State Rep. Sylvia Luke, chair of the House Finance Committee was up on a two-tiered dais with dozens of her legislative colleagues earlier this month, interrogating Kami about the backlog of needed repair and maintenance work at Hawaii’s 256 public schools. House Finance Chair Sylvia Luke has far more budget experience than her Senate counterpart, Ways and Means Committee Chairman Donovan Dela Cruz. Luke said DOE officials had recently told her the repair and maintenance backlog actually was about $896 million. 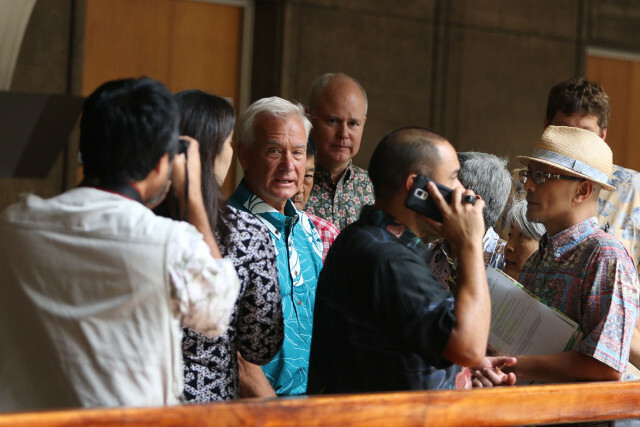 On top of that, she noted, Ige’s proposed budget had some big-ticket items, including a request for $125 million as a required contribution to a $345 million federal project to reduce the risk that the Ala Wai Canal will flood. It was quintessentially Sylvia Luke. 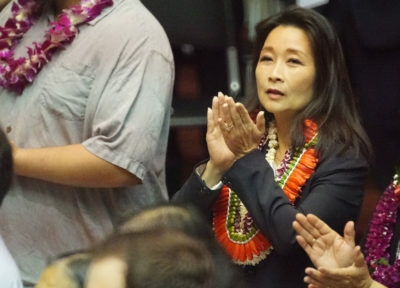 First she made bureaucrats squirm with politely delivered questions no one aside from the wonkiest budget analyst could answer, then she seamlessly transitioned into a not-so-veiled threat to upend a project being pushed by her political nemesis, Honolulu Mayor Kirk Caldwell. As a new legislative session begins, Luke will again be the key player on spending, this time promising to push an overhaul of how the state budgets money to force departments to justify every dime they ask for. “You know why the departments hate me?” Luke told Civil Beat. “Because I keep everything,” she said, holding an obscure 6-year-old document that she said raised questions about funding one of Gov. David Ige’s homeless programs. As chair of the House money committee, Luke spends a lot of time trying to know more than anyone else in the room. 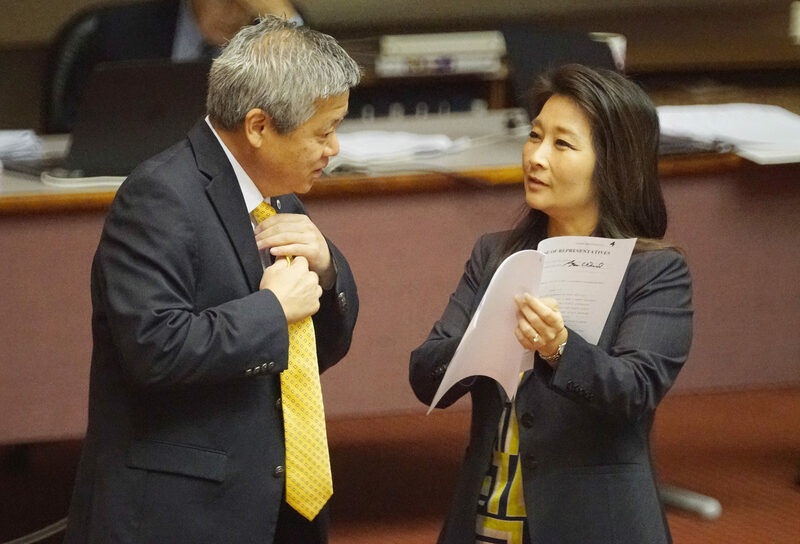 She is Hawaii’s chief fiscal watchdog and has a say over any bill that involves funding. Although Luke’s counterpart, Senate Ways and Means Chairman Donovan Dela Cruz, has similar power, Luke has far more experience and institutional knowledge. 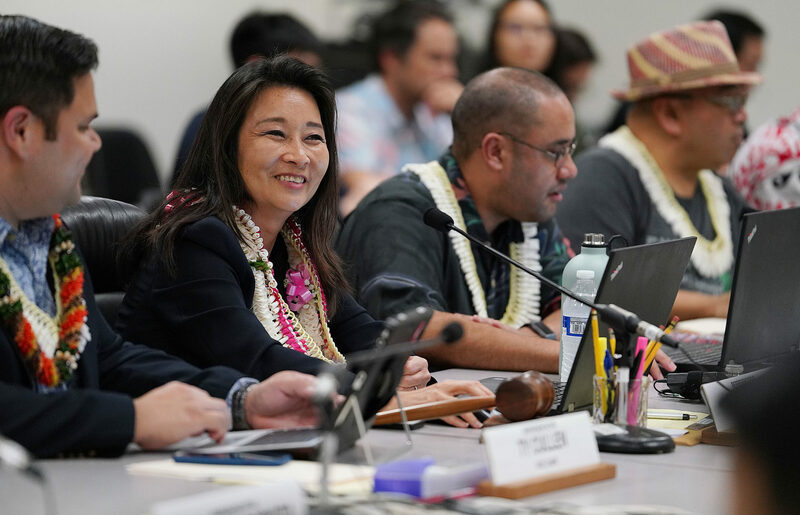 There have been three WAM chairs during Luke’s tenure, which started in 2013: Ige when he was in the Senate; former Sen. Jill Tokuda, and Dela Cruz, who has served in the position for only one full regular session. 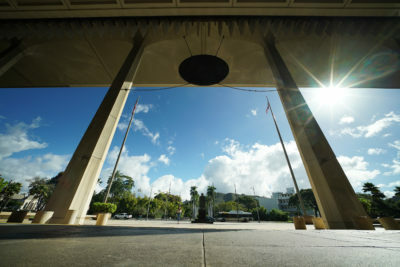 Luke’s power in the House is second only to that of Speaker Scott Saiki, with whom Luke has been friends since they were both students at the University of Hawaii Manoa. With 51 representatives serving constituencies spread over seven islands, House leaders must reconcile a wide array of interests, Saiki said. Rep. Sylvia Luke and House Speaker Scott Saiki have been friends since college at the University of Hawaii. “You have to cut through everything and make a decision that in the end will move the whole state forward,” he said. It’s also something that Luke, 51, has been training to do for decades. Born in Seoul, South Korea, the oldest child of Yun Hoo “Paul” Chang, who owned an import-export busness, and Yun Ja Chang, Luke got interested in politics in her teens. 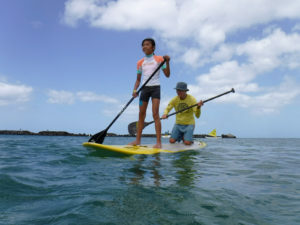 The family moved to Honolulu when she was 9. Because her Korean name, Eun, means “silver,” her mother gave her the English name Sylvia. 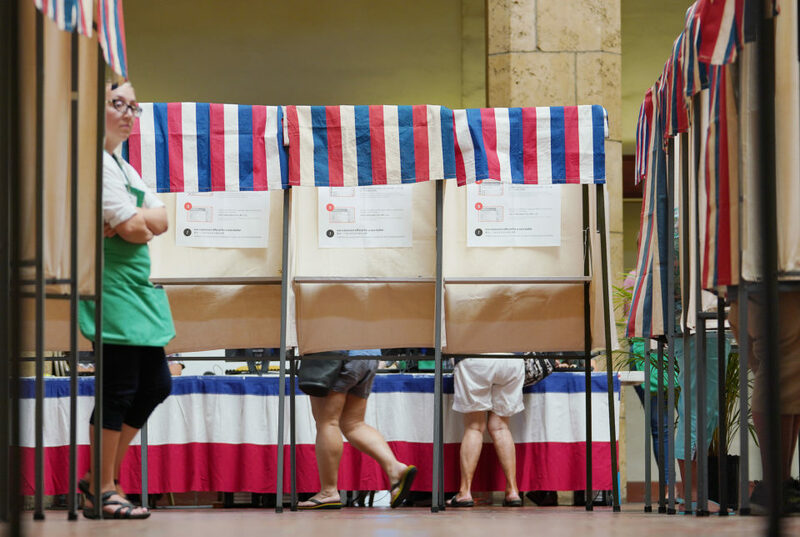 She said her mother also gave her a strong sense of civic responsibility, which led Luke to get involved in student government when she was a student at Roosevelt High School in Makiki. Family responsibilities increased after her father died when Luke was 16 due to complications from a debilitating stroke years earlier. 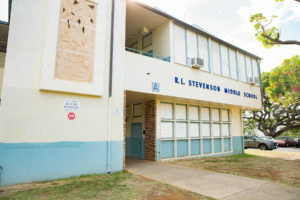 Luke stayed close to home after graduation, attending UH Manoa. Again, she got involved in student government and started building friendships with future political leaders. Among those, was Mark Takai, the late congressman. In fact, Luke beat Takai in the 1988 election for UH student president. “He always used to tease me and say that the best thing that happened to him was me beating him because it made him refocus,” Luke says. Takai was elected student president the next year. Also at UH, she met her future husband, Michael Luke, who was in student government. And there was Saiki, another budding politico who served on the Campus Center Board. Saiki laughs at the idea that he was Takai’s shadow, but confirms they all spent a lot of time hanging out together at the student government and Campus Center Board offices. A few years later, Luke met more future government leaders as a student at UH’s William S. Richardson School of Law, a training ground for state and local government officials. Although Luke went to law school at the University of San Francisco, she spent her last year as a visiting student at Richardson. 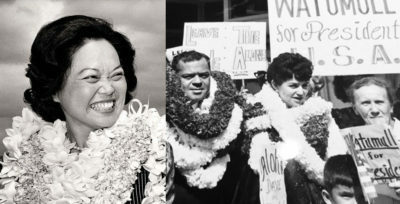 There she met Doug Chin, who later became Hawaii’s attorney general and then lieutenant governor; Billy Kenoi, the future Hawaii Island mayor; and Blake Oshiro, who later served with Luke in the House. It was seemingly inevitable that Luke would go into politics, but first, after graduating from law school in 1995, she went to work for a Honolulu law firm. 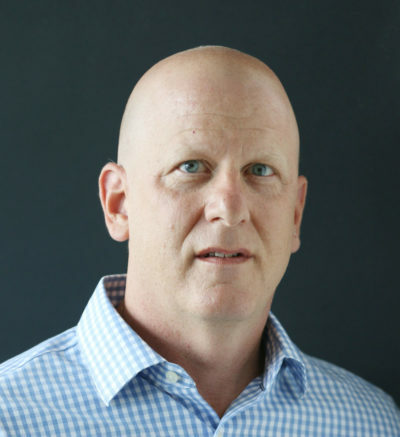 Sitting in his office at Cronin, Fried, Sekiya, Kekina & Fairbanks on a recent morning, Rick Fried, the firm’s founder, summed up Luke’s role there. “We rarely even see her,” he said. Luke’s law practice has taken a back seat to her legislative work since she was elected in 1998 to represent the district encompassing Makiki and Pahoa, where she grew up. Luke handily beat her Republican opponent, Chris Dawson, and is now beginning her 10th term. Luke’s compensation from Cronin, Fried certainly reflects that of a lawyer who plays merely a supporting role. A financial disclosure submitted under ethics laws for public officials shows she made from $25,000 to $50,000 for her legal work in 2017. Likewise, a search of the Fastcase legal database turns up no published court opinions in which Luke is the attorney of record, again suggesting that she plays at most a supporting role. Keith Young, another partner with the firm who frequently works with Luke, said she often helps with tasks like preparing witnesses for depositions and answering interrogatories from opposing counsel. But Young said Luke’s legislative responsibilities preclude her from taking the lead on the high-profile, complex cases the firm is known for. “Obviously, she can’t run with a case anymore,” Young said. Still, political opponents have made much of the fact that Luke works for a firm that represents plaintiffs in personal injury suits. Among Luke’s critics have been proponents of a bill that proposed to let the state avoid liability for accidents occurring at places like rock-climbing sites as long as it posted signs warning of danger. Luke’s committee amended the bill at the 11th hour to get rid of the provision insulating the state, prompting the bill’s supporters to file an ethics complaint in 2014 saying Luke shouldn’t have voted because her firm stood to gain by suing the state on behalf on injured people. Luke said it was impractical to expect the state to post signs at every recreational site and that a permit system that required rock climbers to waive their right to sue the state made more sense. “Isn’t that a better way?” she asked. While Luke denies she’s beholden to the trial lawyer lobby, there’s one partisan political battle she clearly takes a side in: the power struggle between the legislative and executive branches. At its center is the state’s budget, and, more broadly, who controls taxpayer money. Although the Legislature theoretically holds the pursestrings, that’s not always the case. And Luke has taken big steps to reclaim power over state spending. One example involves special funds, pots of money set up under the law for specific purposes. The idea is simple: Users of a government program cover its costs through fees, taxes or other payments into a special fund, which a state agency uses to administer the program. In theory, such a fund is self-sustaining, and the executive agencies don’t have to keep going back to the Legislature every year for money. But after a special fund is set up, the Legislature loses control. And it’s an enormous amount of money — estimated at $3.4 billion for the 2020 fiscal year, almost 22 percent of the state’s budget. Luke admits that getting control of these funds is difficult and often thankless because the general public doesn’t know much about them. “It’s something that’s under-appreciated because it’s difficult to explain,” she said. One way to appreciate the problem it to understand its scope. In the 1980s, general funds — money controlled by the Legislature – made up about two-thirds of the state’s operating budget, the state Auditor’s office said in a 2015 report. Now general funds make up only about half of the budget, about $8 billion out $15.4 billion. Special funds have ballooned to become the second-largest source of state funding. It’s not just that the funds are hard to monitor. They often have surpluses – money left over after all program expenses have been paid – which lawmakers can’t touch for other purposes. In other cases, special funds become inactive as programs founder, but still hold onto money. 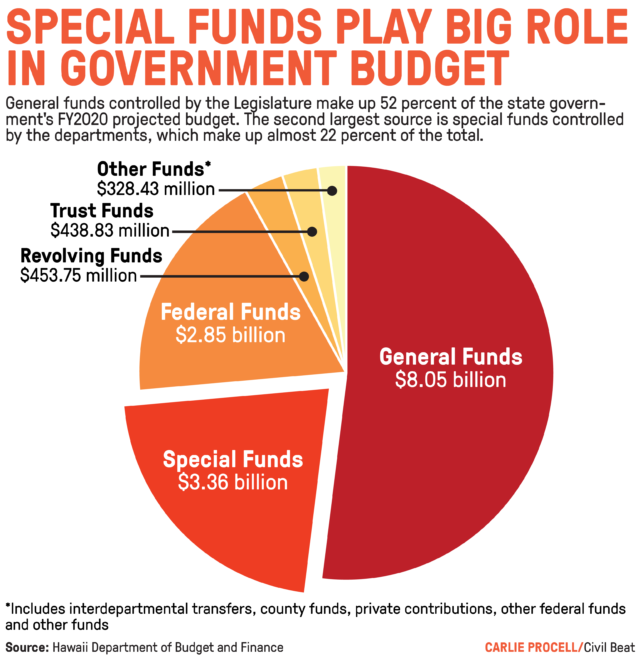 Unlike unspent general funds, unspent special funds don’t lapse back to the state. Luke applauds as Saiki speaks Wednesday on the Legislature’s Opening Day. Yamachika recalls that when Luke was appointed Finance Committee chair, she sought to ferret out and catalog all these pots of money. “She took a look at these special funds and said, ‘I don’t even know how much money the state has,’” he said. Along with Ige, then Senate Ways and Means Committee chairman, Luke pushed through a bill making it nearly impossible to create new special funds and requiring rolling reviews of existing special funds by the auditor. According to a December audit report, the Department of Land and Natural Resources’ 18 special funds alone had $103.4 million left over at the end of 2018 after collecting fees and paying expenses. The audit said nine of the 18 funds should be dissolved because they no longer meet the legal requirements, one of which is that the program can’t be paid for through the general fund appropriation process. Balances in those nine funds totaled about $47 million. There were also three inactive funds containing $1.9 million — taxpayer money just sitting around. 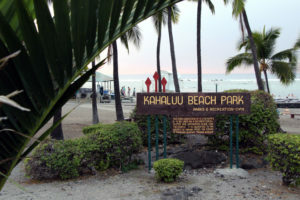 Suzanne Case, the DLNR chair, defended many of the special funds, including one that uses money from hotel taxes, proceeds from the lease of public coastal lands and other sources to pay to maintain and restore beaches. The auditor said the fund was no longer needed because the program could be paid for with general fund appropriations, and Case didn’t dispute that. Instead she emphasized its importance. To Luke, it’s about transparency and the Legislature being able to do its job, which includes prioritizing spending. And regardless of whether the beach restoration program is worthwhile, Luke says not all programs deserve never-ending sources of money that lawmakers can’t touch. “We need to make sure that they’re benefitting the public and not existing because they’ve existed for the last 30 years,” she said. Luke’s venture into special funds is just one of the deep dives she’s taken into complicated fiscal issues. She has sought to get control of temporary hires by departments, for instance. And she’s also pushed through legislation requiring rolling reviews of tax credits, exemptions and preferences, which are another form of tax expenditure over which the Legislature has little control once it sets a program in motion. Her positions aren’t always antagonistic toward the executive branch. During a recent budget briefing with the Department of Agriculture, Luke suggested relaxing job classification rules so the department could fill vacant posts, which represent about 30 percent of the staff every year. “I don’t think the department can function with one-third of your staff not being there every year,” Luke told the agriculture director. Luke’s dry humor is as much a trademark as her fiscal toughness. 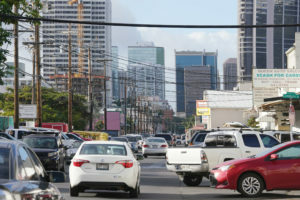 Often at odds with Mayor Kirk Caldwell over funding for Honolulu’s woefully late and over-budget rail project, Luke once called the mayor out from the floor of the Legislature even as she agreed to help bail out the rail line by extending a tax surcharge to pay for it. Luke has often been at odds with Mayor Kirk Caldwell, center, over funding for the Honolulu rail project. Luke also can rub people the wrong way. Among them is Paul Alston, a lawyer whose firm worked on a recent class action against the state for failing to adequately support foster children. Hawaii hadn’t increased its allowance paid to foster parents in 24 years, and the plaintiffs contended that violated federal law. The Attorney General’s office ultimately settled, agreeing to pay $14 million to the state Department of Human Services for foster care support, $2.3 million in back payments to foster parents, and $1.1 million in attorney fees to Alston’s firm and others who worked on the case. But when the time came for the Legislature to put up the money, Luke and Saiki balked, saying the attorney fees were too high. Alston said the lawmakers should have approved the payments to DHS at least, even if they opposed the legal fees. Luke says that wasn’t an option at the time. According to her, the plaintiffs’ lawyers wouldn’t drop the lawsuit without the attorney fees. The parties ultimately resolved the case last year, and the lawyers got about $850,000 instead of $1.1 million. “In the end, they had to give in,” she says. A Legacy In Zero-Based Budgeting? Luke sees rigorous political discourse — even stress and friction — as what leads to growth. Now she is talking about yet another major change — her most dramatic yet. Known as “zero-based budgeting,” the new system would require executive agencies to justify all expenses for every two-year budget period. Too often, Luke says the state keeps paying for programs simply because that’s what it has done in the past. “We cannot continue to provide services just because we’ve been doing it,” she said. Requiring each state agency to come to the Legislature every two years afresh to justify its allocation would bring more creative tension and debates over how to spend taxpayer money. Luke acknowledges such a change could take years to roll out. Ige said Wednesday he supports the idea, but it would require sweeping changes beyond even the needed revisions to Hawaii’s statutes. 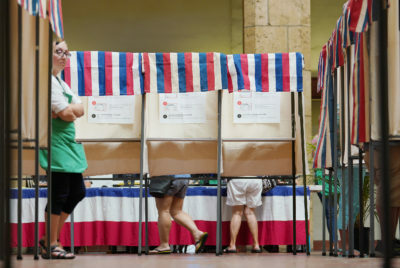 For example, Ige said, Hawaii’s antiquated financial computer systems also would have to be upgraded. “Until we can get to a modern platform, it would be very difficult to change the budgeting system,” he said. As usual, Luke welcomes a rigorous discussion of her proposal. “You have to have that challenge to make good policy,” she said. 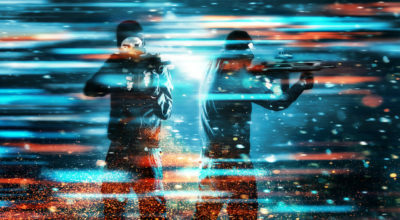 Chad Blair contributed to this article.